First, let's go ahead and get this out of the way. Yes, the band is called "DIE." And yes, they capitalize all of the letters in their name for some reason. (Why the caps? Are they yelling "Die!" at us?") Despite the painfully obvious band name, the Danish group creates some excellent Cannibal Corpse-style death metal on their debut album, Rise of the Rotten, that is anything but a painful listen. The Cannibal Corpse comparisons begin with the vocals which can be reminiscent of George Fisher at certain points. Vocalist, Soren Christensen uses a vocal style that is guttural without ever being especially low and gurgly. He mixes in some higher screams as well from time to time. The lyrics (based on the standard gore and zombie fare) are usually decipherable thanks to his clarity. The work of guitarists Rasmus Henriksen and Tajs Kolman is complicated enough to keep from boring the listener, and is catchy enough to make heads bang instantly. "Soul Scavenger" and "Dead Flesh Makeover" are both great examples of DIE's catchiness in action. The guitar solos on Rise of the Rotten seem to have some Necrophagist influence woven into their sweep-picking and smooth hammer-ons and pull-offs. Throughout these solos, lead guitarist Kolman wrings strands of fluid notes from his guitar's neck. The solos really set DIE apart from most bands in this style of death metal. The leads have an almost playful character to them which actually clashes with the dark vibe of the rest of the music. At first this is rather off-putting, but after numerous listens it becomes a part of the "DIE sound." (On the first couple of listens, an oddly chosen sample from Tropic Thunder also manages to temporarily derail the dark vibe before the song "Soil Becomes Flesh" begins.) While audible and fat-sounding, Jonas Moller's bass goes largely unnoticed except for some fills in "Dead Flesh Makeover" and "Rise of the Rotten," which make it nearly impossible to miss. If you actually listen for the bass, you will find that it has a nice warm tone and really adds to the music. Drummer Bent Bisballe Nyeng's playing is pretty standard for this type of death metal, however that's not to say that the dude doesn't have major talent. His blasting and double-bass work is more than competent. "Dread Lord" has some awesome stuttering drum / guitar interplay that really makes the song, and "Mors Et Sanguis" features some cool cymbal work. I also feel that Rise of Rotten's artwork deserves mention, since it really adds to the album's vibe. 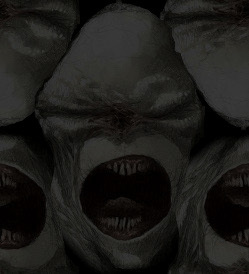 Many death metal bands reuse their album cover throughout their CD booklet by zooming in on different parts of the same piece of artwork (presumably to save money. Who could blame them?) DIE, on the other hand, uses seven separate pieces of art in its packaging. Unfortunately, they have chosen my least favorite piece for the cover, but at least it's a memorable image. It's not every day you see someone chowing down on a human leg. The artwork has a slightly cartoonish vibe that reminds me of Vincent Locke's later work. Yet, DIE's artwork (courtesy of Tony Sandoval) still has its own character. If you are in the market for a catchy death metal CD, you could do much worse than Rise of the Rotten. If your shelves are already stuffed full of brutal death metal albums, you may not have much interest in acquiring another disc that is not all that different from releases you already own. However, I am willing to bet that DIE's Rise of the Rotten is better than some of the stuff currently residing on your shelves. While DIE is not changing the world of death metal by any means, Rise of the Rotten is well written, well played brutality that outshines much of what is out there today.